PALEO JAY SMOOTHIE CAFE: pqtd 120 HOW to Exercise Daily! pqtd 120 HOW to Exercise Daily! I’m sure you’ve all heard the adage to “exercise 3 times per week”, because your body needs rest days to rebuild. Although this may be true for abusive exercise systems using heavy barbells and dumbbells, a ‘going to failure’ mentality backed by a substandard diet…but not for those of us who practice Perfectly Paleo Exercise! This is the type of natural exercise that uses your own body as resistance, as in virtual resistance, isometrics, calisthenics, self-resisted exercises where one limb resists the movement of another, and body weight movements done either on gymnastic rings, pushup handles, or from bars. In this type of exercise, daily exercise is not only possible, but vastly preferable, since our bodies have been designed for daily movement and exercise! If we couple this movement with good sleep and a healthy diet, why then our body is well able to recuperate, and even thrive on such a schedule. My schedule? I work out first thing, every morning, first thing upon arising. I think this is the very best way for most folks to work out- you get to bed early, because you plan to get up early- that takes care of the good sleep part. You work out first thing, so nothing can interfere over the course of a busy day- that makes sure you get it done! 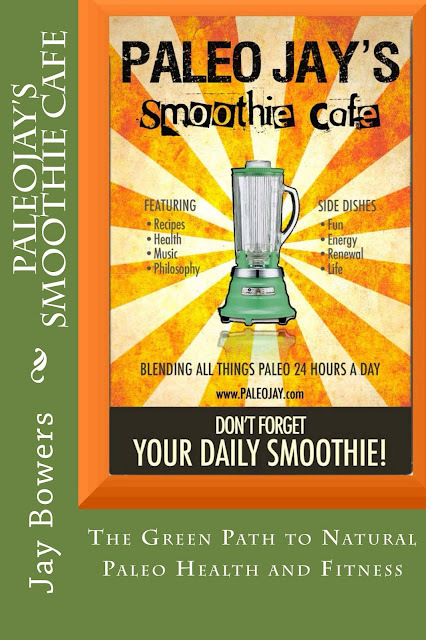 I have my green paleo smoothie after I shower, along with a cup of coffee with heavy cream and a little coconut oil mixed in, along with cinnamon and cocoa powder- and so, from the start, my nutrition is pretty much assured for that day. Often nowadays, in the late afternoon when I get home from work (I substitute teach lately as my retirement job), I head off into the woods barefoot and shirtless, swinging my little dumbbells of from 5-10 pounds in heavy hands fashion- this is rejuvenating to me, and 10-15 minutes in the woods, working hard like that, combines forest bathing with wonderful exercise for the entire body! The key is that my exercise regimen is tiring, but easily recoverable from, since I don’t tax the joints with heavy barbells and dumbbells at awkward angles, and don’t overload the muscle to build awkward bulk. That type of force on the body means eventual injuries, and then you can’t exercise- you often can’t even do simple movements! So go natural! Build your muscles, ALL of them. Every day. Enjoy it, feel what it’s like to be a wild animal in nature, doing what humans are meant to do, moving over the earth, hanging and pulling and stretching and flexing! That is how to be healthy, look healthy, and actually to just enjoy life to the full. PaleoJay Plays On! The new CD is now available! PQTD 118 Live Long and Prosper!